How do you respond when you encounter questions about your faith? When your neighbor claims that your beliefs are no different than his, when your kids ask who made God if God made the world, or when your own doubts crowd your mind? Having questions about faith is not wrong, but letting those questions fester can erode our faith. Instead, caring about truth often means wrestling with doubts and questions about what the truth really is. Whether you’re working through questions of your own or explaining your faith to others, we want to help you find the resources that will help you respond with the truth of God’s Word. We have designed the CSB Apologetics Bibles to help you do just that. With resources like 48 “Twisted Scripture” sections explaining commonly misconstrued passages and 134 articles from authors including Lee Strobel and Ravi Zacharias, the CSB Apologetics Study Bible can help you to answer your own questions and the questions of others with clarity and conviction. Structured around the the top 130 questions that teens ask about the Bible today, the CSB Apologetics Study Bible for Students is designed specifically to help young people wrestling with faith. 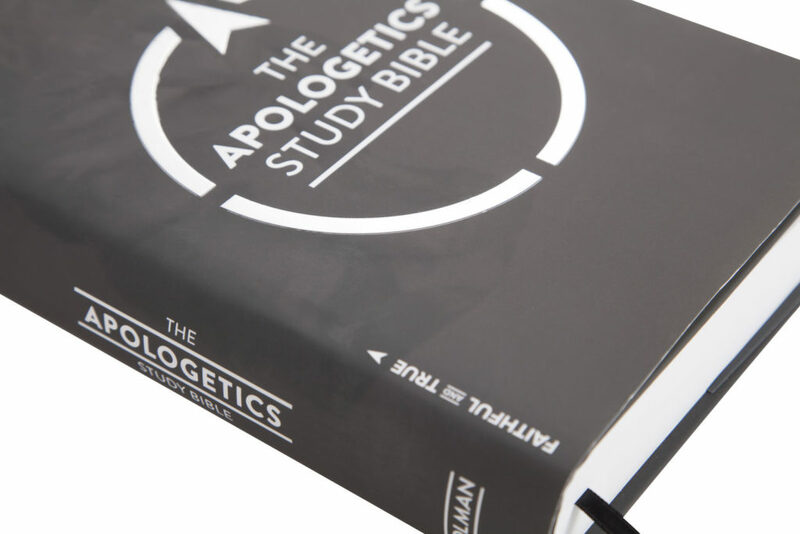 Visit apologeticsbible.com to learn more about these Bibles, to sign up for 52 weeks of free articles by leading Christian apologists and thinkers, or to order your copy today.